Deputy Prime Minister of Uzbekistan Aziz Abduhakimov met with the leadership of French companies "Orex-Loisirs" and "SCP Geode". The parties discussed the issues of attracting the leading French companies - technological and innovative leaders in the tourism industry - into the projects implemented in Uzbekistan within the framework of the creation of the FTZ "Charvak", including the involvement of well-known local brands, the creation of tourist facilities for the provision of services related to beach holidays, water sports, medical and extreme tourism, the construction of golf courses, the creation of a mountain cluster in Chimgan and much more. 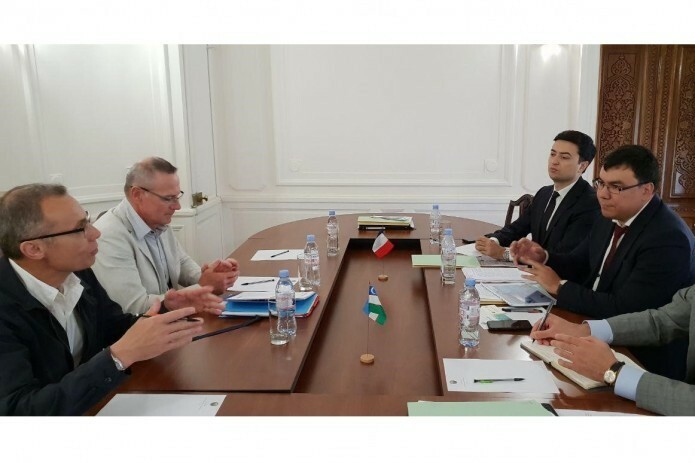 Following the talks, the parties agreed to organize a visit of the management and experts of such French companies as "Orex-Loisirs", "SCP Geode", "Compagnie des Alpes" to Uzbekistan on August 28-31 to conduct relevant negotiations to determine the specific conditions of work and implementation of projects in FTZ "Charvak".